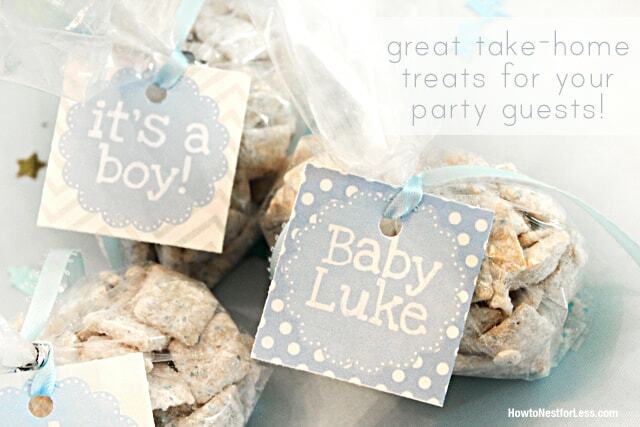 Last weekend I threw a baby shower for my little sister who is due in a couple weeks. 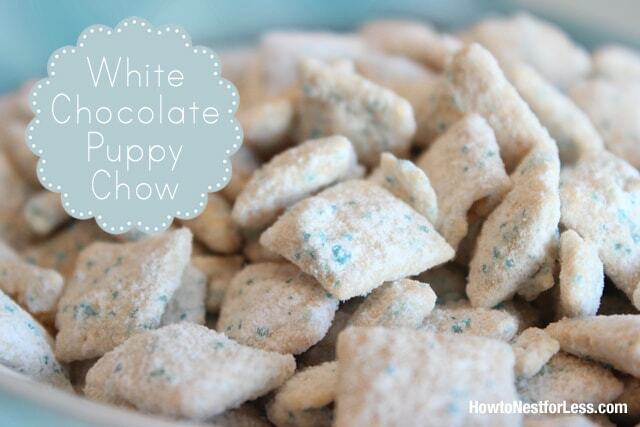 I wanted to do a little take home treat for the guests… yummy White Chocolate Puppy Chow. This is a super easy recipe that only takes minutes to make! Melt the almond bark in according to the package. Place the cereal in a large bowl and coat with the melted almond bark. Stir carefully with large spoon until the cereal is covered. 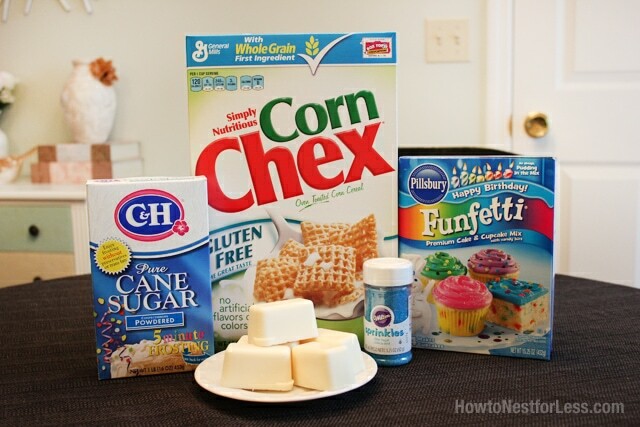 Pour the cake mix and powdered sugar on top of the cereal and mix gently again. Add some colored sprinkles for a little extra color (I chose blue since my little sister is having a boy!). When preparing, just make sure that you completely coat the cereal in the melted chocolate before adding the powdered sugar/cake mix. Yeah, I’ve done that before and it becomes a clumpy mess! And let me tell you, this is completely addicting!!! so good! 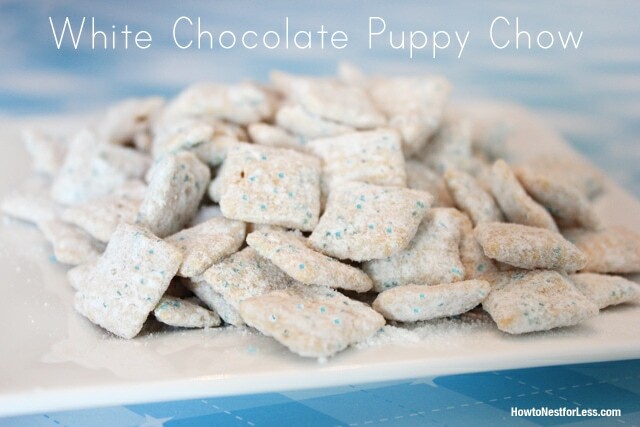 i haven’t had puppy chow in years–might need to try this white chocolate version! 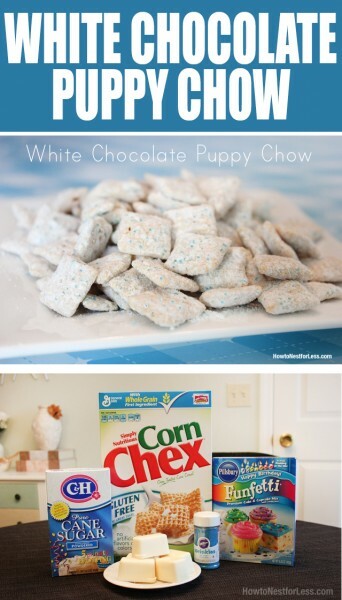 Puppy chow is so addicting! Love how you added the blue sprinkles for her shower!! 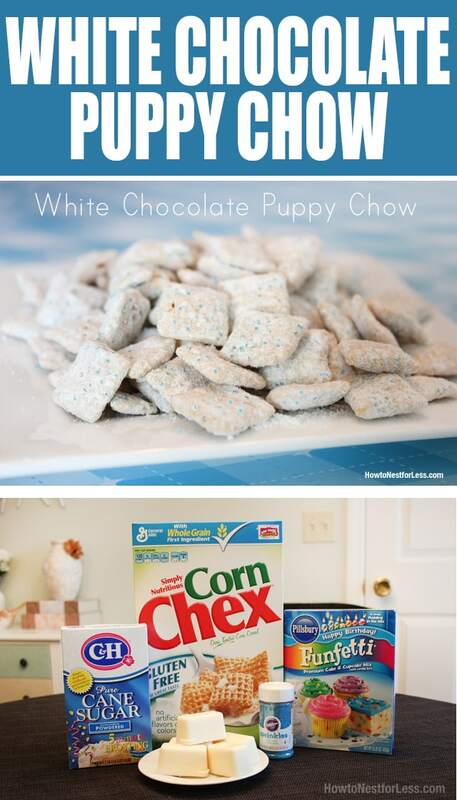 I love puppy chow!! It is so addicting! The clumps are my favorite because they have the most chocolate! Haha, my daughter discovered that quite quickly!! Is the cake mix necessary? If you don’t use the cake mix you’ll need to add more powdered sugar.